This small and slender plant grows to a height of 15 to 30 cm. The stem is growing out of a rosette of 2 to 6 foliage leaves, which can be spotted or unspotted. 1 or 2 leaves sheath the lower part of the stem. The inflorescence has 2 to 15 rather large flowers, loosely arranged. The prominent spur is almost twice as long as the ovary. The ovary is sheathed by a small bract. Only the two petals form a little hood. The lateral sepals are spreaded or even reflexed. 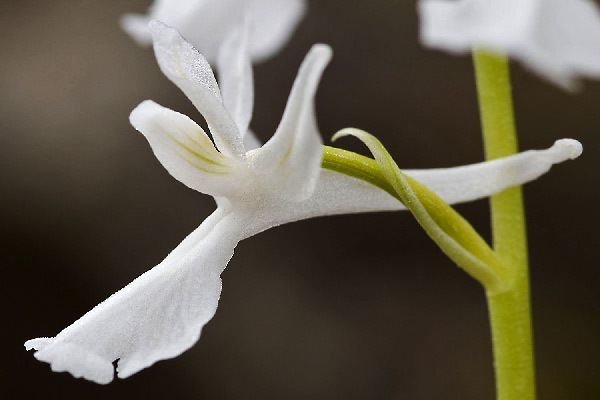 The labellum is three-lobed. 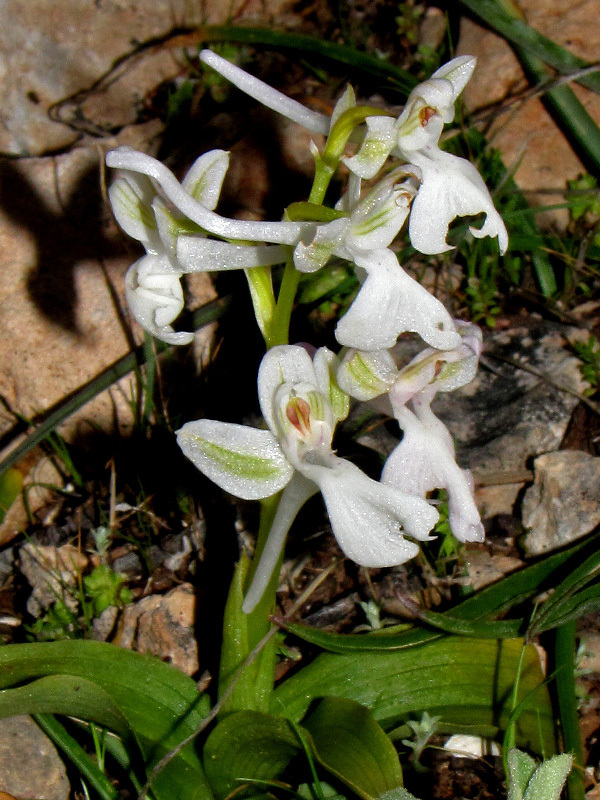 Orchis anatolica was first described in 1844 by the Swiss botanist Pierre Edmond Boissier (1810-1885) in his opus Diagnoses plantarum orientalium novarum. 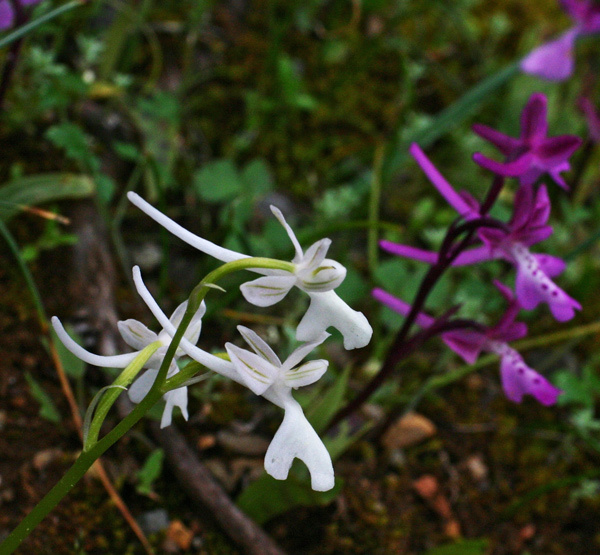 The flowers of Orchis anatolica are pale pink to pink, often with green veins in the sepals. The white-flowered plants are quite rare. 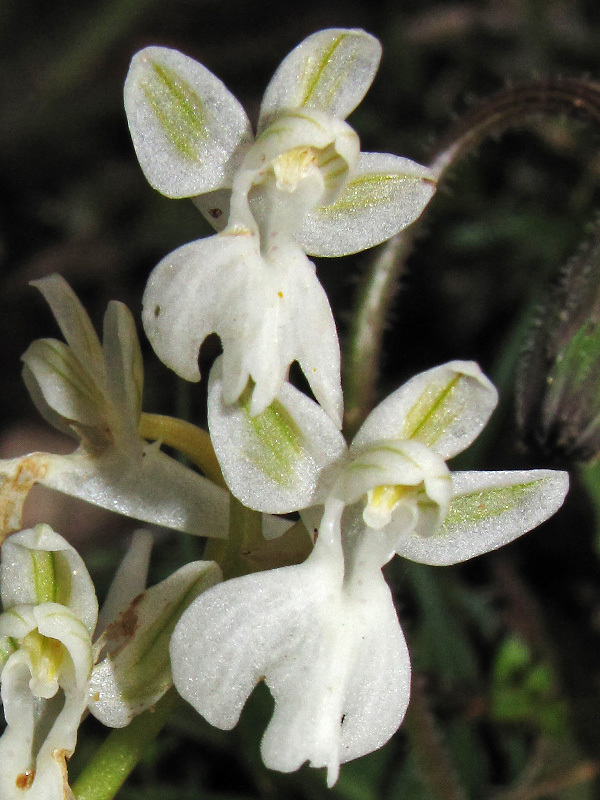 As it’s the case with Anacamptis morio “albiflora” the green veins of the sepals are preserved. 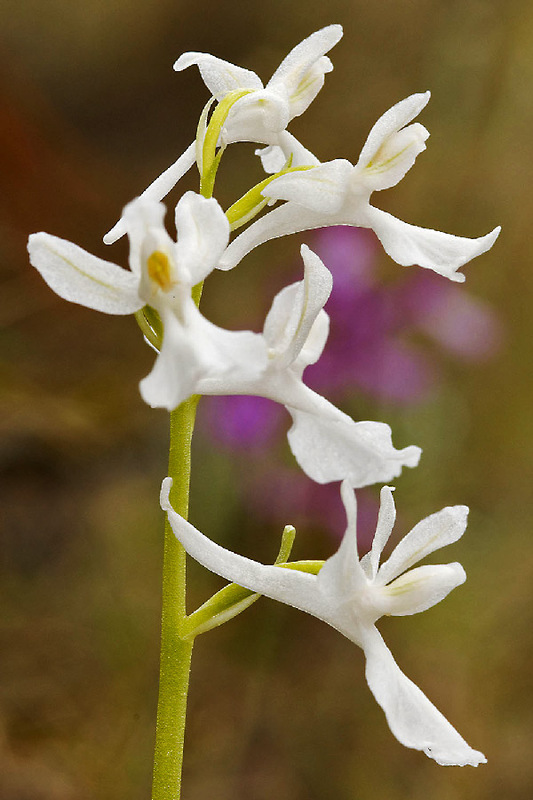 Orchis anatolica is growing on meadows and pastures, as well as in macchia habitats or in bright forests, up to 2000 m. Bloom is from March to May. The species can be found in the Eastern Mediterranean, for example on the Aegean islands and in Turkey.